(Newser) – Two explosions near the gate of the temporary home of Somalia's new president killed at least one person today, according to police. A police corporal said he was guarding the Somalia immigration department near the Jazeera Hotel when the blasts occurred. 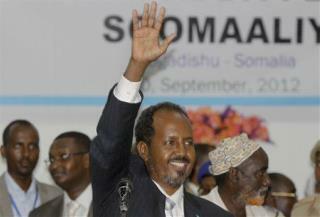 An official inside Jazeera Hotel, who asked for anonymity, says President Hassan Sheikh Mohamud is safe.